“Love what you do. If you haven’t found it yet, keep looking and don’t settle”. Though Steve Jobs’ reflection on dreams may sound alluring, what this tip suggests is usually easier said than done, especially in these days when professional development calls for continuous rat-racing. Those who have their hearts set on a creative or artistic career have generally had their fair share of opposition; either because competition is too fierce in that area, out of fear or lack of recognition. Whatever the case, only a few career choice counseling courses speak of artistic branches, other than drama or music composing. Since you most probably don’t know much about how to become a DJ, let’s face the facts, you’re going to need all the help you can get, and that’s what we’re here for; guide you in your first steps towards becoming a professional DJ. Just like daddy, many people have a misconception about artistry and lack of professionalism. What if you were told that you could do both, follow your dreams and get professional recognition? Times have changed. As a matter of fact, several top universities nationwide offer music careers that include more than simple sound mixing or sound engineering, they provide DJ degrees. Want to learn more? Some universities in Europe even offer special programs for international students who are planning to enter their music programs. The first and topmost question you should ask yourself is: “How do I know I’m DJ material?” After all, you don’t choose a profession overnight. Chances are that you have already gotten your hands into some kind of equipment (either yours or borrowed). Research suggests that nine out of ten aspiring DJs have been or will be playing music sometime in the near future. If you belong to the 10% that has still had no experience, it’s time to get into some serious business. Visit one of the many sound shops around town or else, get your hands into someone else’s equipment. Note: Buying your first equipment with very little experience on your back may be a major no-no. For one thing, since this stuff does not run cheap, chances are that you spend more than you ought to, so it’s best to wait until you learn more before you make your first investment. Another risk-free, low-cost alternative is to take a look at any of the free DJ-mixing software available online. 100% free and easily accessible, this is a great resource for any newbie testing their abilities. Before we move on to the next step, it might be worth learning a little about what being a DJ means. After all, if everything works out, you will be spending the next decades doing just that. Sure the first DJ you ever heard was one of those, right? Radio DJs are not only in charge of playing the music in a radio station, but are also prepared to present the music they are playing, read sports, the news or discuss weather reports. Besides having a broad musical knowledge, these pros must be well-informed and possess unique communicative skills, as well. If you are keen on music and articulate enough, a bright future in the media may lie ahead. The most stereotyped of all DJs, these music-makers are actually in charge of creating the right atmosphere for every occasion. Party DJs usually spend plenty of time developing skills that enable them to create the right music mixes and the proper lighting scenery. Professional development for club DJs involves working as freelance social DJs or as fixed one in a disco. Some have gained great popularity, thus becoming actual trademarks of the place or eventually touring. It is surprising to learn just how many music producers started out as DJs. Working their way up the sound-making business ladder, these DJs have used their vast experience to launch struggling artists. With a clearer picture in mind, you are now able to make the right moves towards the ultimate goal. “Working hard is the difference between being good and being the best” As with sports, playing music calls for a great deal of precision and dexterity. After all, there is a physical skill involved that must be developed and the only way is getting tons of practice. Spending every spare minute on your equipment will prepare you for future opportunities. This tip becomes even more valuable when you consider that competition may get nasty at some point. How else can you stand out of the crowd if you do not give your 110%, 24/7? Also, having somebody else give you a neutral opinion on your work will prepare you for future challenges and help you become more resilient to criticism. Finally, looking like a DJ will help you make others see you as one. I know, this sounds corny, right? There is no official DJ outfit, so whatever you do, make sure that the way you look shows who you are (at least artistically!). Although apparently meaningless, wearing the right clothes can work as an attention-getter mechanism, and standing out is what you need at this point in your career. Once you have completed your professional education, you still have tons of work to do. Stay tuned for opportunities, like castings. 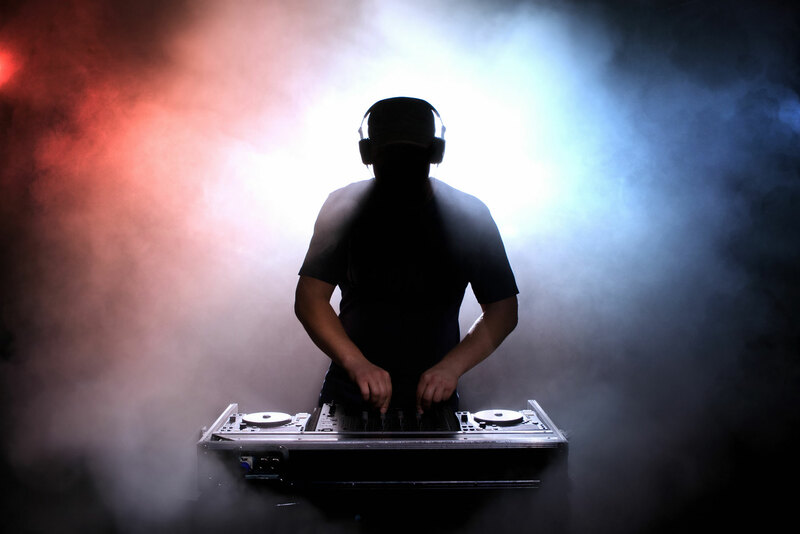 Now that you know how to become a DJ, your dream come true may be just a mix away.